Thanks so much for all the lovely responses to my cute crochet stars pattern, I really appreciate them and would love to know if any of you complete the project. My star pattern uses the magic circle (or magic ring) to start it off. 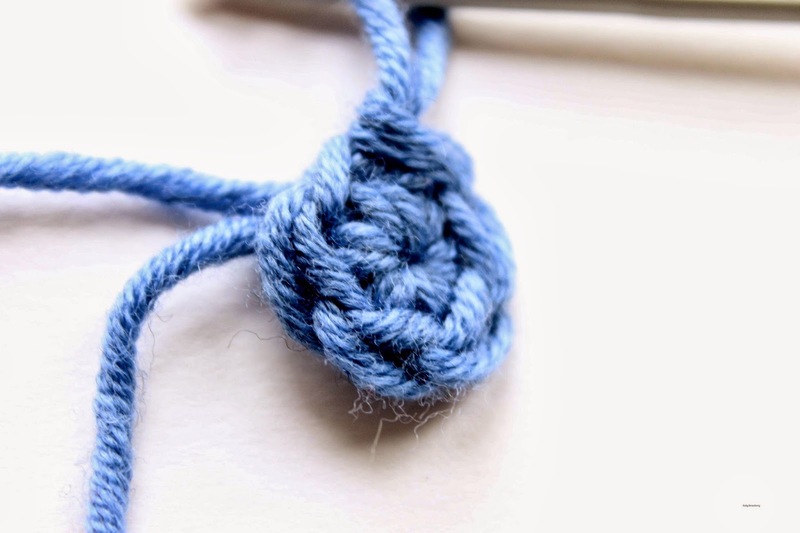 This is commonly used in crochet patterns worked in the round as it leaves a much smaller hole at the top or middle of your project than if you make a foundation loop consisting of chain stitches and a slip stitch. When I first learned this technique I found it pretty tricky and fiddly but once I mastered it I was amazed at how versatile and useful it could be. This photo tutorial (photos courtesy of a very patient Pete) explains using a magic circle step by step. Apologies if you find it a little basic but I wanted to make it as clear as possible. 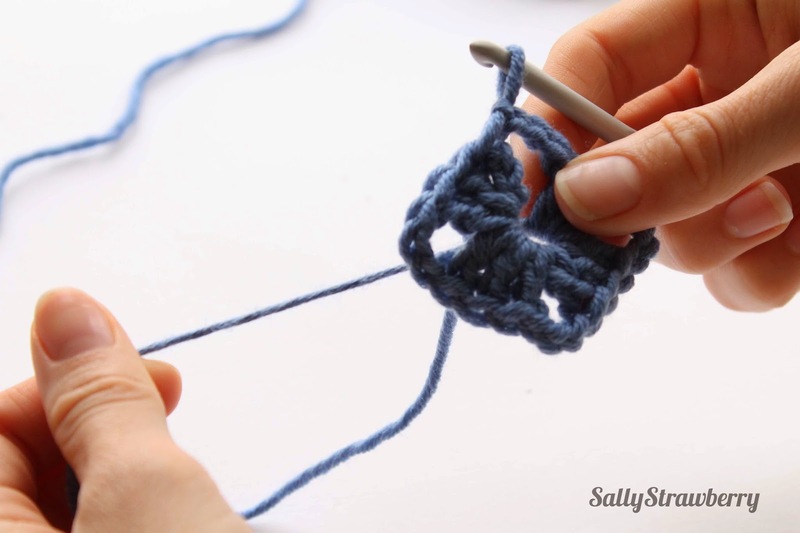 Quick note: this tutorial was made by me, a right-handed crocheter. 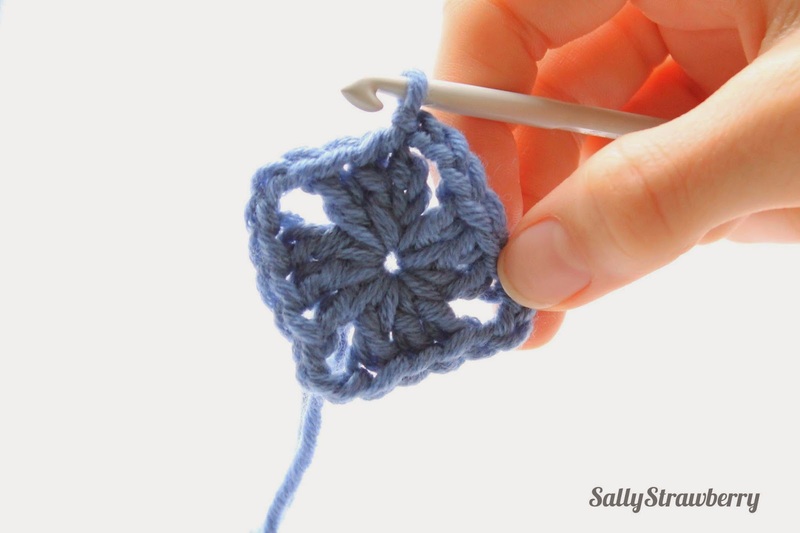 If you are left-handed the method is the same only you will be crocheting clockwise into the ring rather than anti-clockwise as shown in this tutorial. 2. Insert your hook into the loop as normal. BUT, do not pull the slip-stitch tight. Instead you must keep the circle open. 3. 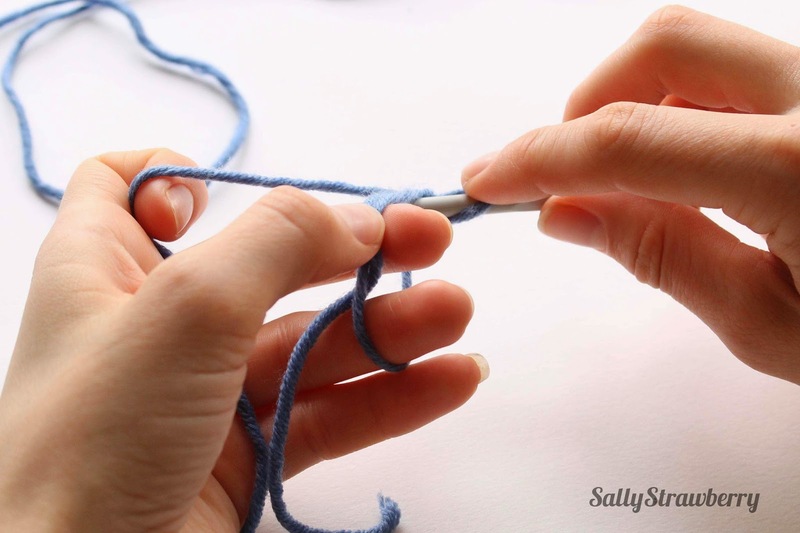 You will need to reposition the yarn as at the end of step 2 you will have the working yarn in your right hand. 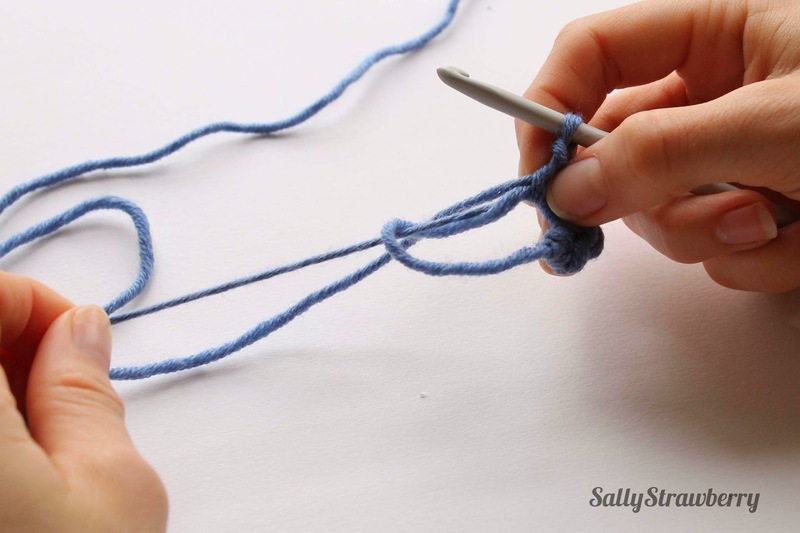 Put your middle and fourth fingers of your left hand into the loop to keep it open and switch the working yarn into your left hand ready to crochet. Your hand position should look like the picture below. 4. 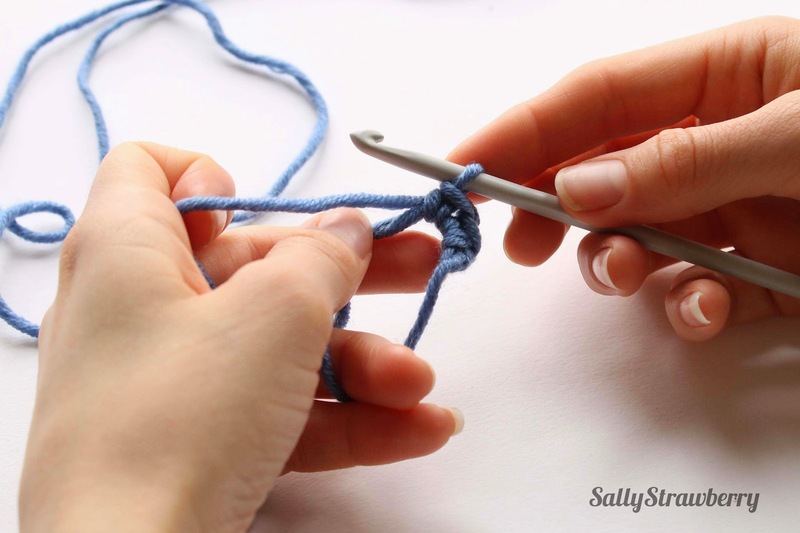 Make a chain stitch to secure the ring. 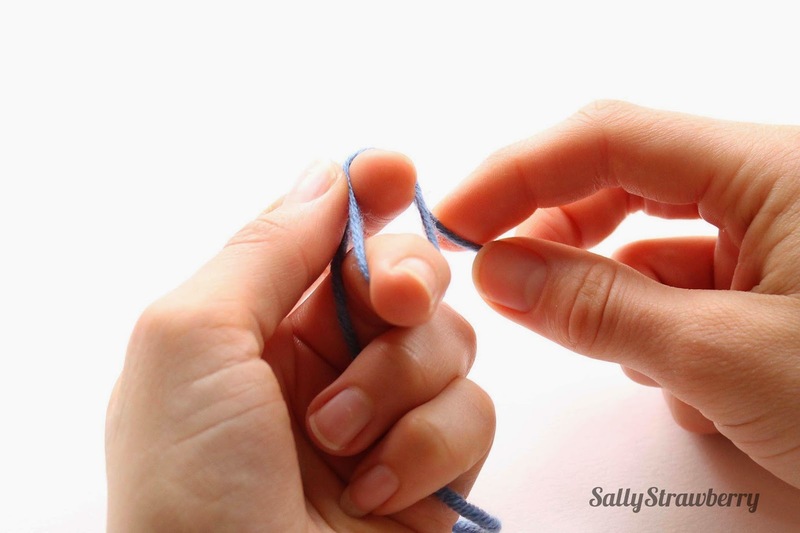 This stops it closing up (this chain stitch does not count as a stitch). 5. We are now going to work double crochet (US single crochet) into the centre of the circle. 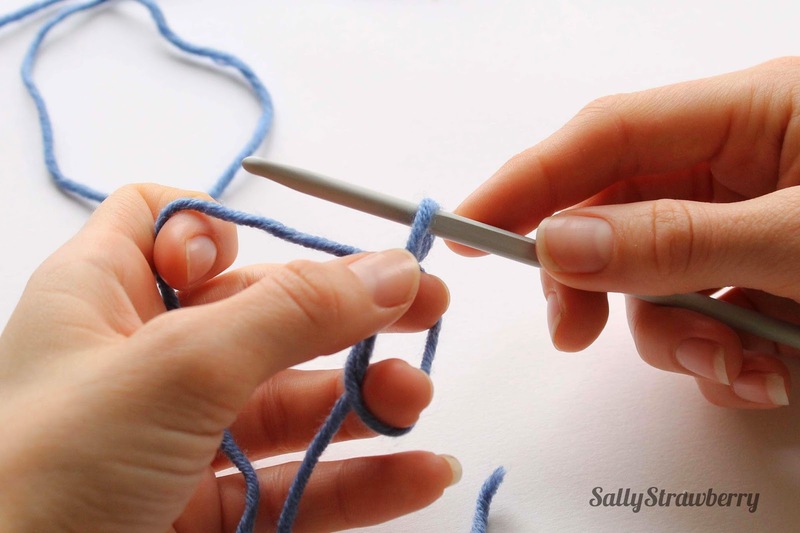 You will be crocheting over two strands of yarn- the loop and the tail end of the yarn. 6. 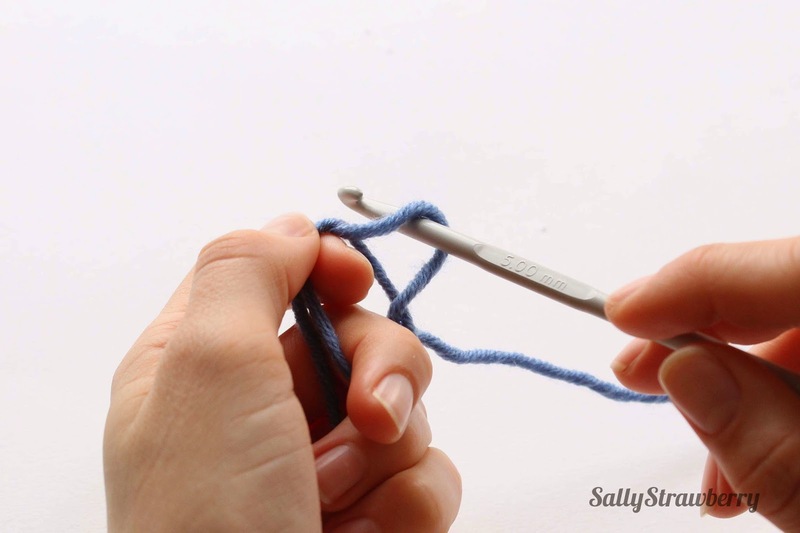 Make double crochet stitches (or whichever stitch your pattern stipulates! ), one next to the other into the centre of the circle. 7. Now this is where the 'magic' happens. Once you have made the required number of stitches (6 in this case) gently tug on the tail end of the yarn. As if by magic the circle closes neatly up! 8. 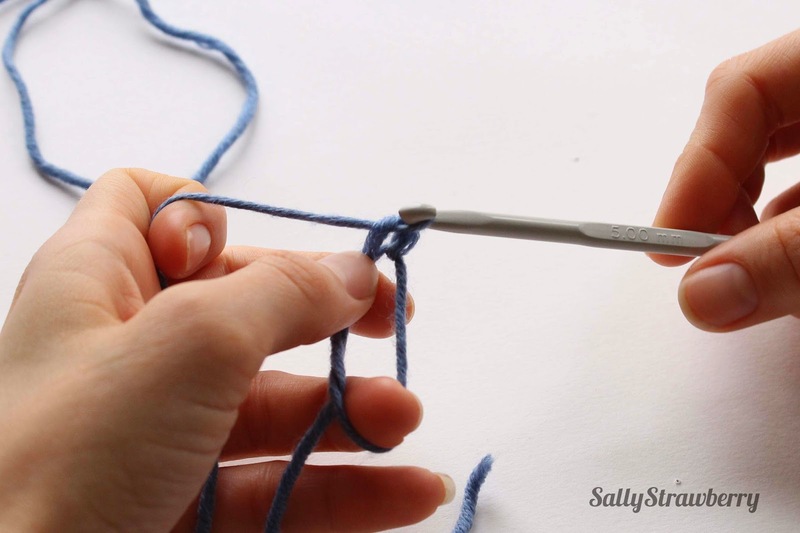 Make a slip-stitch into the first double crochet to join the round. Voila! As you can see you have a lovely first round of stitches with no gaping hole in the middle! Easy yes??? 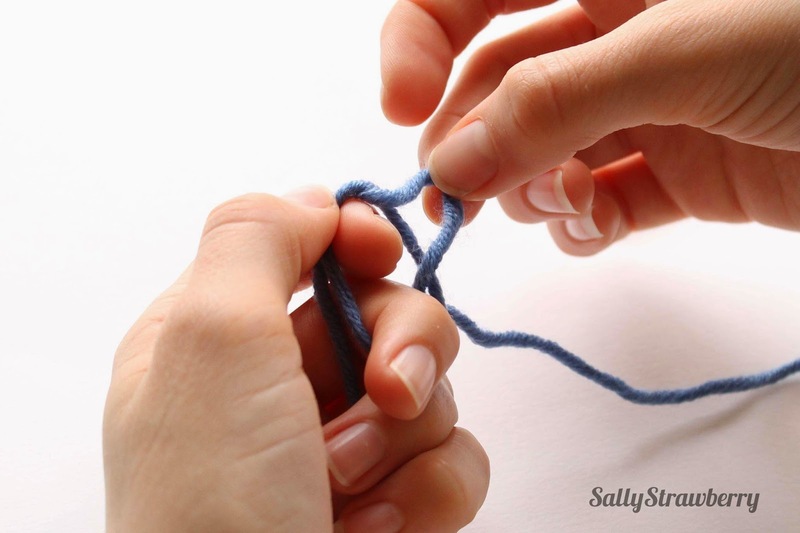 Like all things crochet this does take a little bit of practice but with perseverance you will pick it up in no time! To finish this post I thought I would share with you one of my favourite applications of the magic circle- making granny squares! 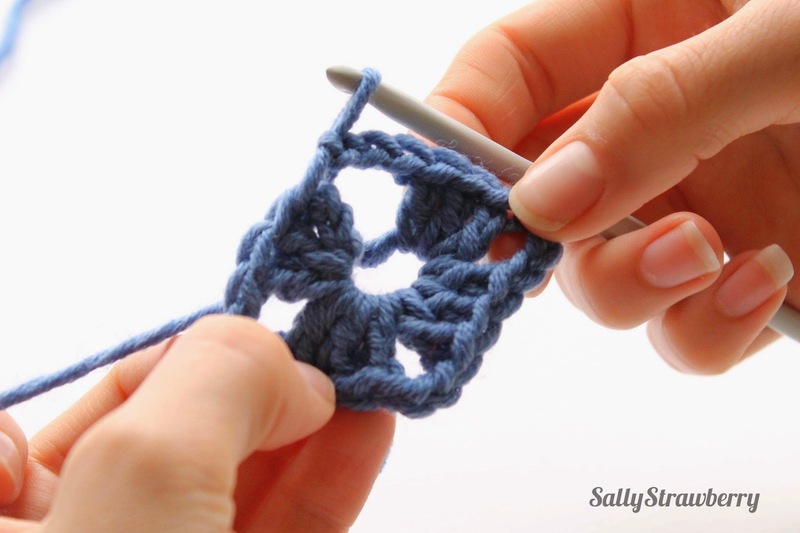 Traditionally you start a granny square by making 4 chains and joining into a ring with a slip-stitch. You then make your first round of stitches into this ring. I however hate making chains and slip-stitches so using a magic circle to form the centre of my granny squares is my preferred method. Follow steps 1-3 as for above to get your ring. Then, instead of making 1 chain to secure the ring as described in step 4, make 3 chains. These 3 chains count as your first treble stitch of the round. 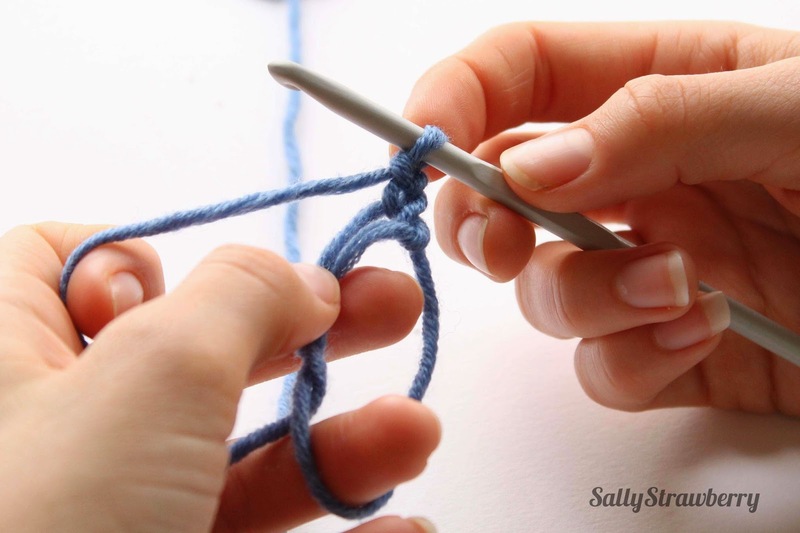 Being careful not to close the ring make all of your stitches for the first round into the circle. .....and here you have it. Round one of your granny square completed all into the centre of a magic circle. Pretty good don't you think?! I hope you enjoy this tutorial and if you have any questions about using the magic circle please do get in touch.